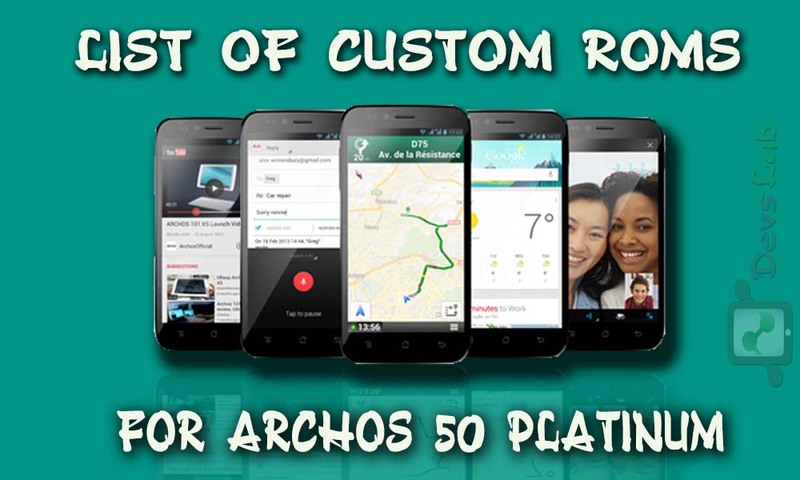 Archos 50 Platinum is a budget Smartphone with pretty good specifications. However, you can get the most out of your Smartphone through Rooting & Installing Custom ROMs, Tweaks etc. As Archos 50P comes with Android Jellybean 4.1.2 which is pretty old & slow, as compared to the latest OS. Today, we’ll check How to Root Archos 50 Platinum, Install Custom Recovery & Install Custom ROMs in Archos 50 Platinum, Blu Studio 5.0 S,5.3s,Cherry Mobile skyfire 2.0 True Beyond 3G. 1. Download SuperSU.zip from the given link : Download. 2. Place the zip file in your Internal memory or SDcard. 2. Turn off your device, Now Turn ON your device by holding Vol up + Home + Power Button. Select Recovery Mode. 4. Wait for the zip to Install & done ! 1. Download CWM 6.0 Recovery from here : Download. 2. Install the Recovery by this method : Install CWM. Status : Stable with Minor bugs.